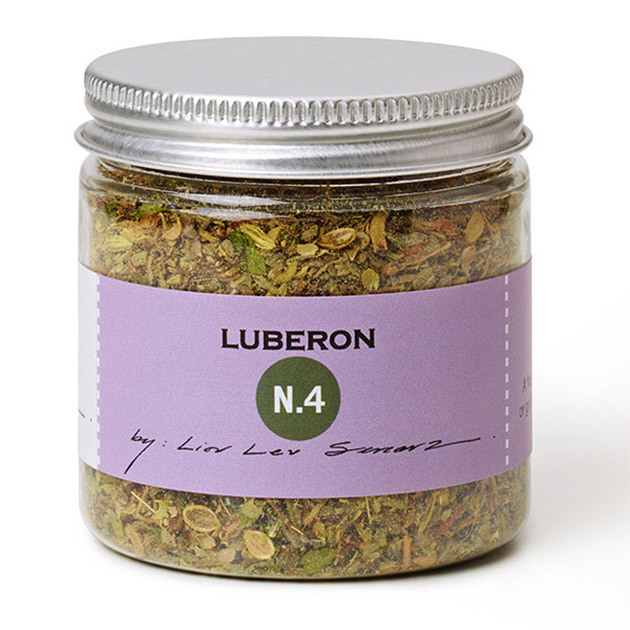 For all of our SandySpice members…Get ready for May’s spice – Luberon No. 4. 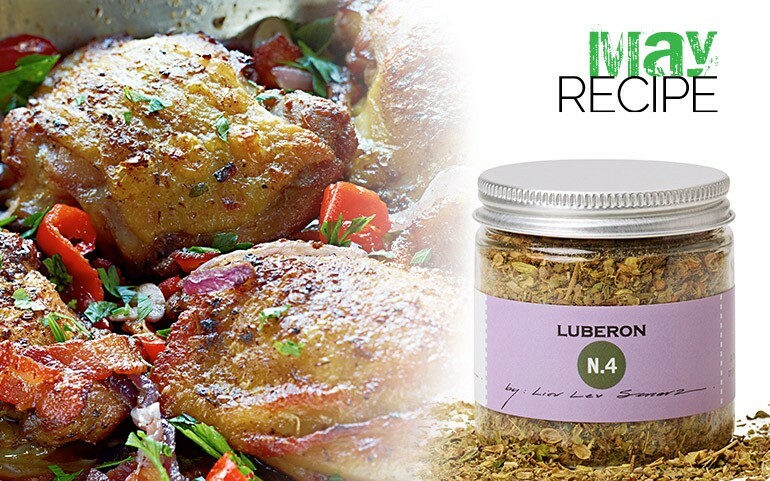 The dried lavender flower in this blend, an expression of a traditional herbes de Provence, brings subtle floral notes and unexpected texture to lamb, roasted vegetables, poultry and even sablé biscuits. 2. In a Dutch oven or large skillet, cook the bacon over medium heat until crisp, about 8 minutes. Transfer the bacon to paper towels, leaving the fat in the pan. Add 1 tablespoon of the olive oil to the skillet, then add the chicken skin side down (you may need to work in batches). Cook the chicken, turning once, until browned on both sides, about 10 minutes. Transfer the chicken to a platter, leaving the fat in the pan. minutes. Deglaze with the wine, scraping up any browned bits from the bottom of the skillet with a wooden spoon. 4. Return the bacon and chicken to the skillet and add the chicken stock. Bring to a boil, lower the heat and add the chicken stock. Bring to a boil, lower the heat and simmer, covered, for 20 minutes. 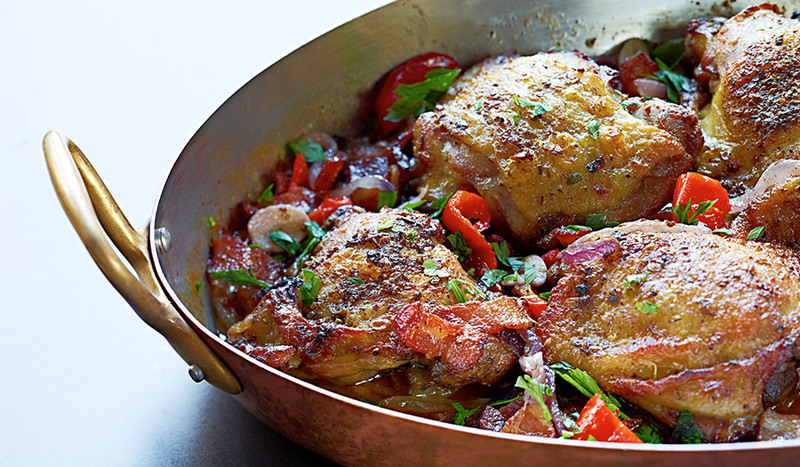 Add the Peppadew peppers, cover and continue simmering until the chicken is cooked through, about 25 minutes longer. 5. Stir in the parsley and preserved lemon, drizzle with olive oil and serve.